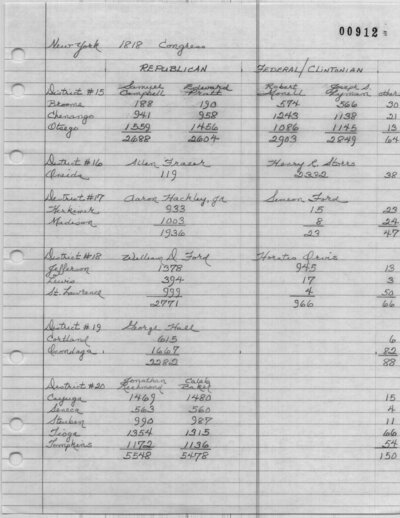 The Albany Argus (Albany, NY) and The New-York Columbian (New York, NY) list William D. Ford with 1378 votes and Horatio Orvis with 945 votes. Jefferson and Lewis Gazette (Watertown, NY). May 11, 1818. Saint Lawrence Gazette (Ogdensburgh, NY). May 19, 1818.